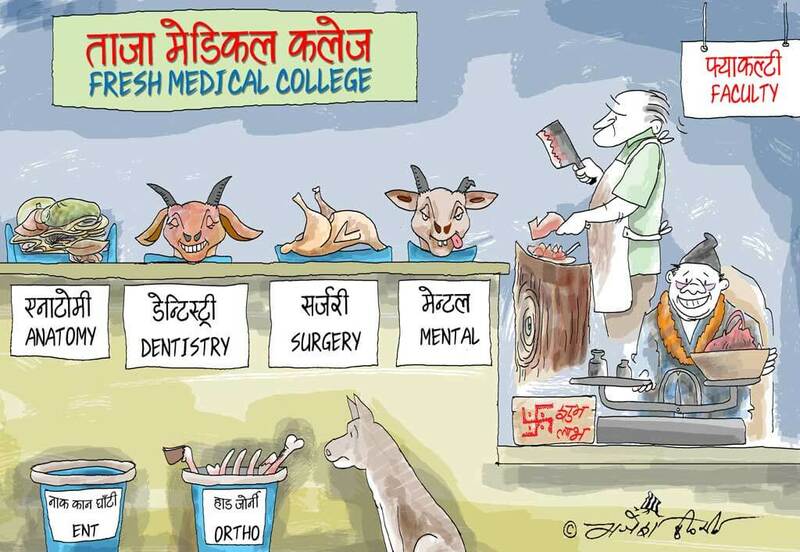 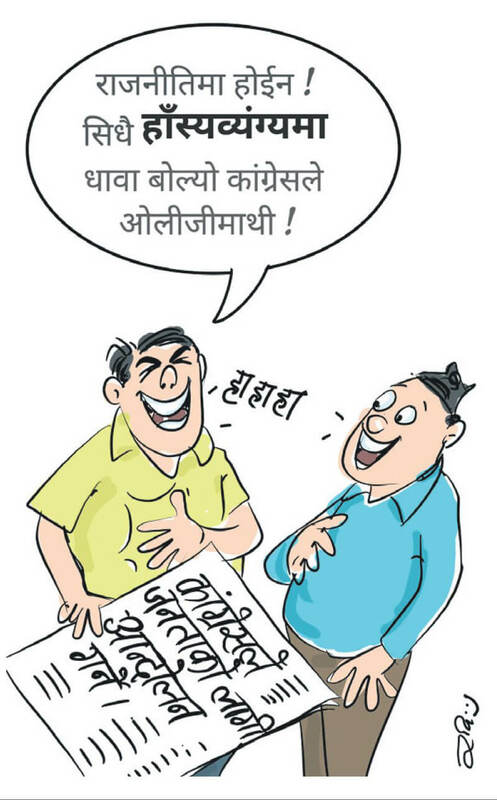 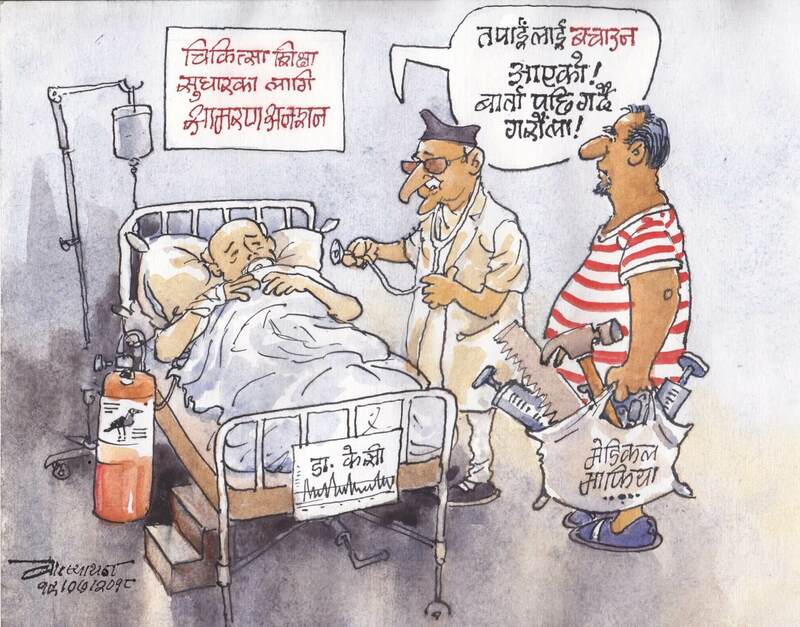 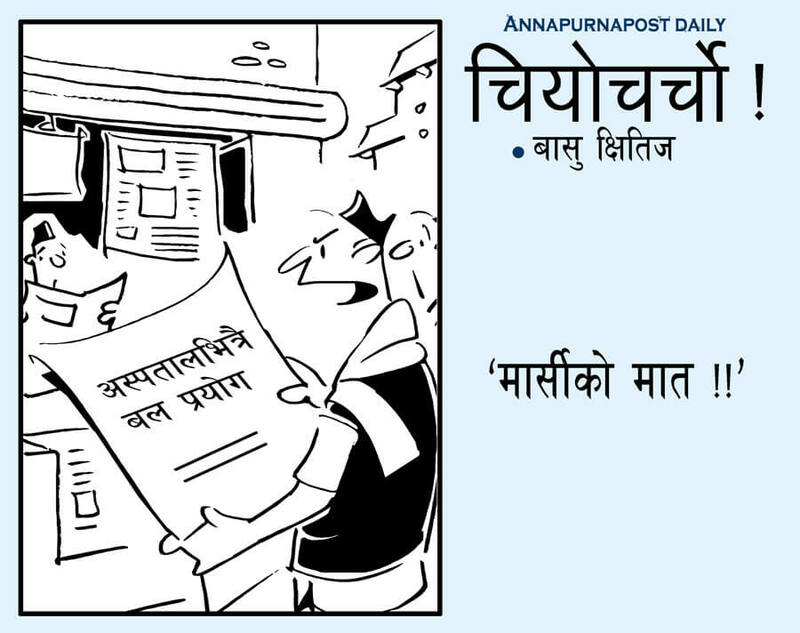 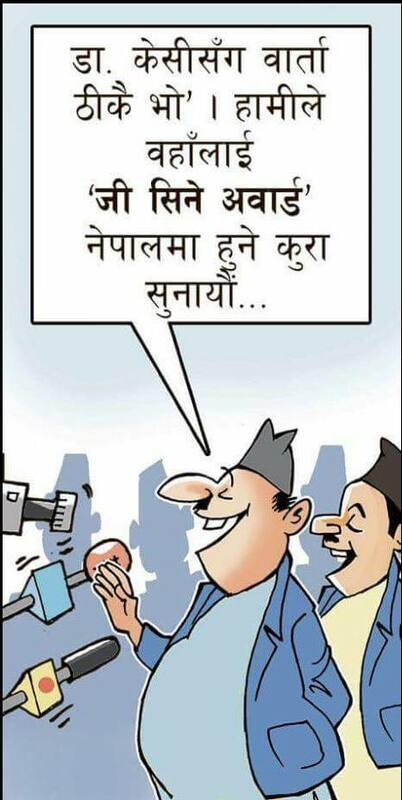 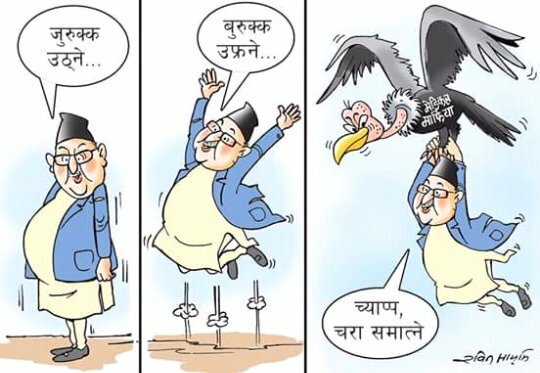 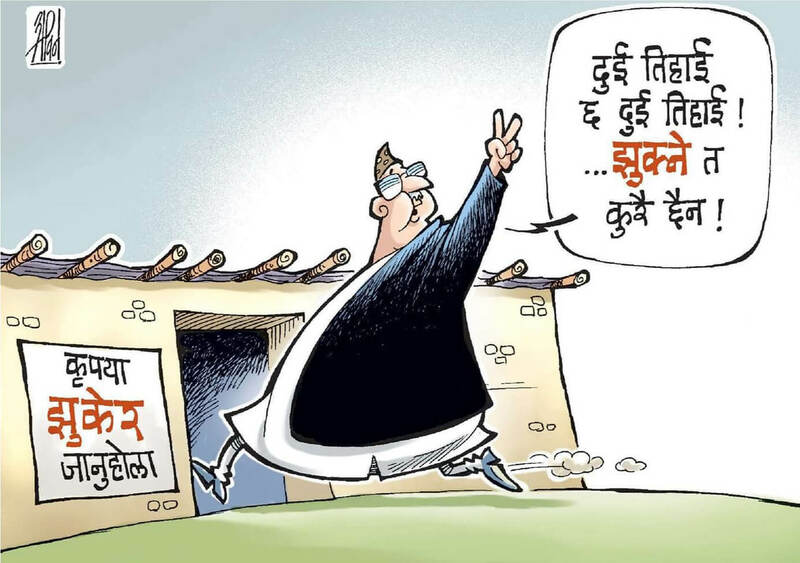 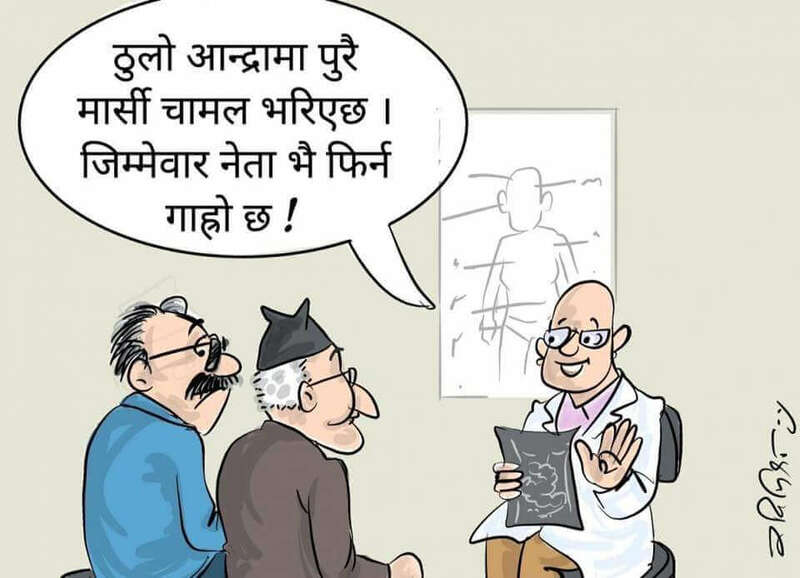 Cartoonists in the Nepali language press have been obsessed with Govinda KC’s hunger strike, which ended after 26 days on Thursday. 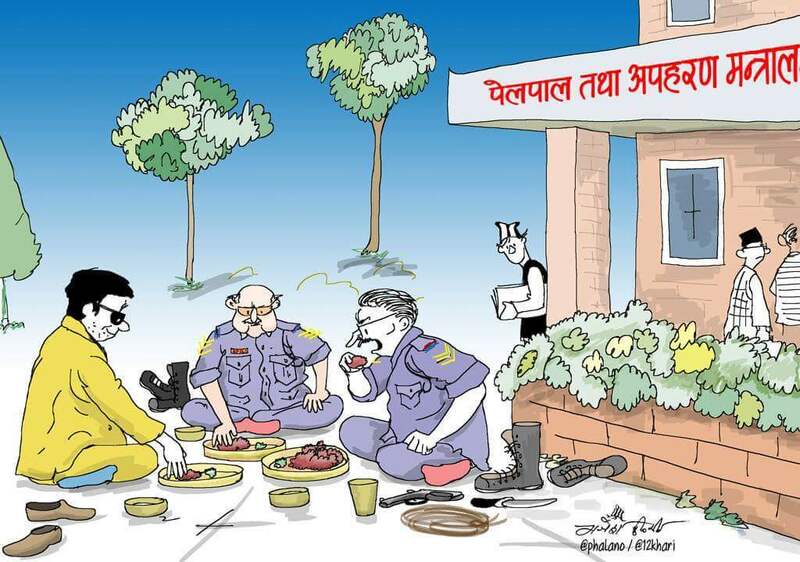 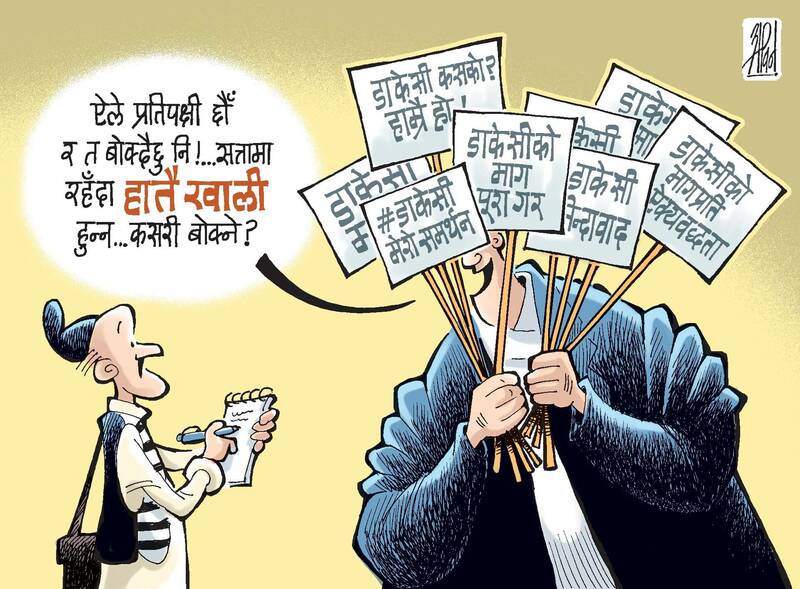 They used the fast and the government’s initial dismisiveness and high-handed response to ridicule Prime Minister Oli. 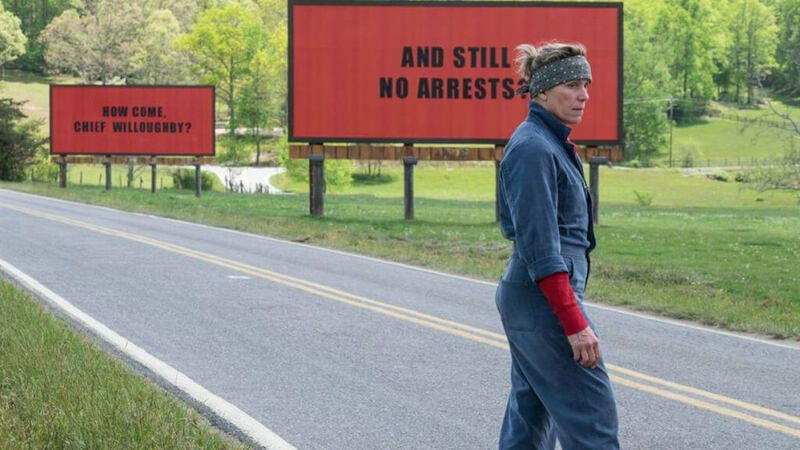 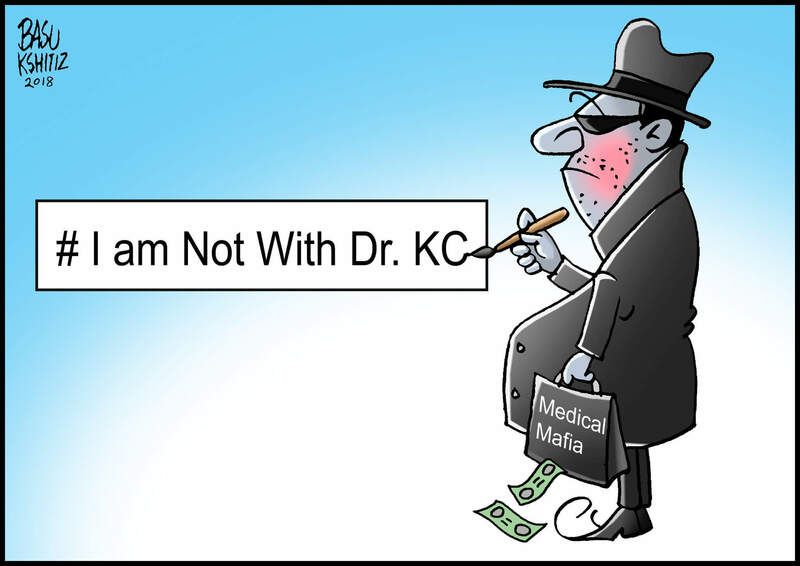 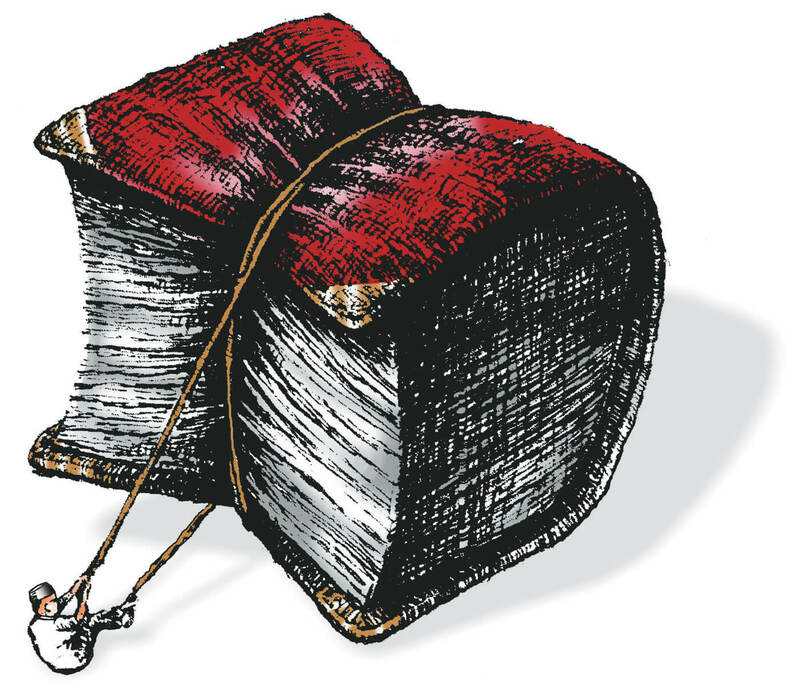 They lampooned the medical mafia, the Police’s use of fake news and force, and the government’s half-hearted attempt at dialogue.